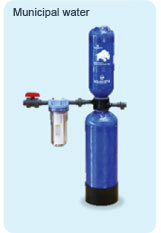 The Rhino whole house water system is regarded as the leading whole house water system on the market. 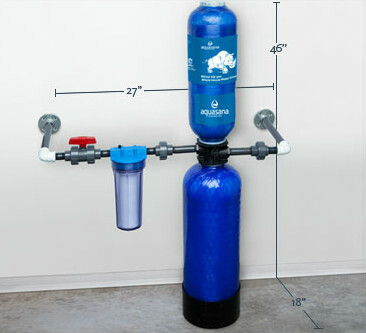 Its 3 stage filtration process supplies better than bottled water quality throughout the entire household for only pennies a day! 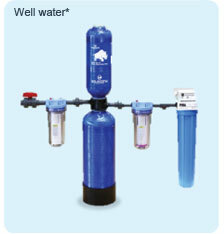 This means all the water used in your home can benefit from the purest possible water; the water you & your loved ones drink, shower and bathe in, the water you wash your clothes in, the EQ-600 whole house water filter supplies healthy, filtered water to every faucet and water source in the house. It works as a point-of-entry system to reduce chlorine and chlorine-resistant parasites as soon as water enters a home’s plumbing system. 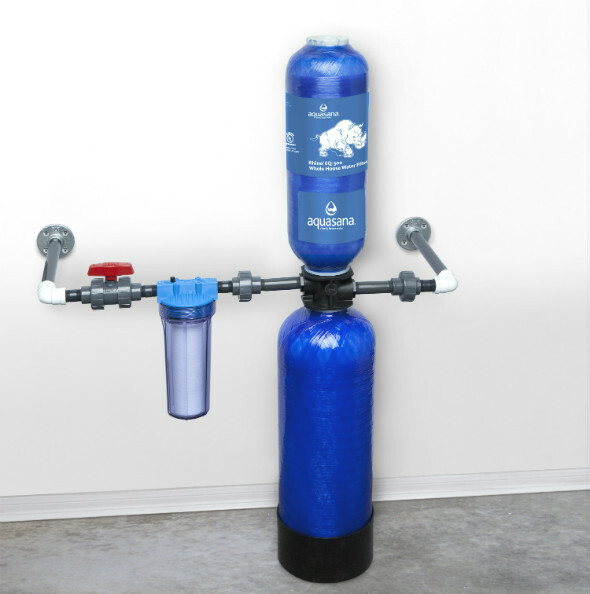 The EQ-600 Rhino Whole House filter system is one of a very few whole house water filter systems certified by NSF International for contaminant reduction – the gold standard in water filtration. 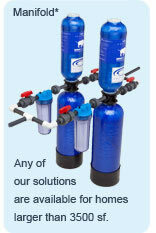 Aquasana Rhino is the right product for your family's water needs! Drink, shower, bathe, LIVE in pure, healthy water! The system is easy to install with the help of a licensed plumber and requires no electricity or back-flushing. It installs where your water line enters your home - typically where your hot water heater is located. It can be installed inside or outside your home, and needs only be protected from extreme temperatures or direct sunlight. The system comes with everything you need for installation. System maintenance is easy: just replace the two main filter tanks every 600,000 gallons /2.72 million litres (about 5-7 years for the average household), and you can replace them yourself without a plumber's assistance. Simply shut off the water at your system with the provided valve, detach your main tanks (bottom and top tanks), and replace them with the new EQ-600R tanks. No messy, time-consuming, media-only replacements required. The process takes minutes. The quality of water is clearly improved.